The weather outside could not have paired better with my fall menu this past Thursday. The chill in the air and the overcast sky provided the most amazing backdrop outside my windows for the feast going on inside. Chili Con Carne, gooey delicious Sinful Cinnamon Rolls, and a Harvest Moon Cheese Platter were on the menu. These students were ready to learn and warm up with some delicious food! Rolling out the "proofed" cinnamon roll dough. Extra cinnamon, of course! Warm and gooey cinnamon rolls fresh from the oven. Served warm is the only way! Thanks to all my new and returning Creme students!! 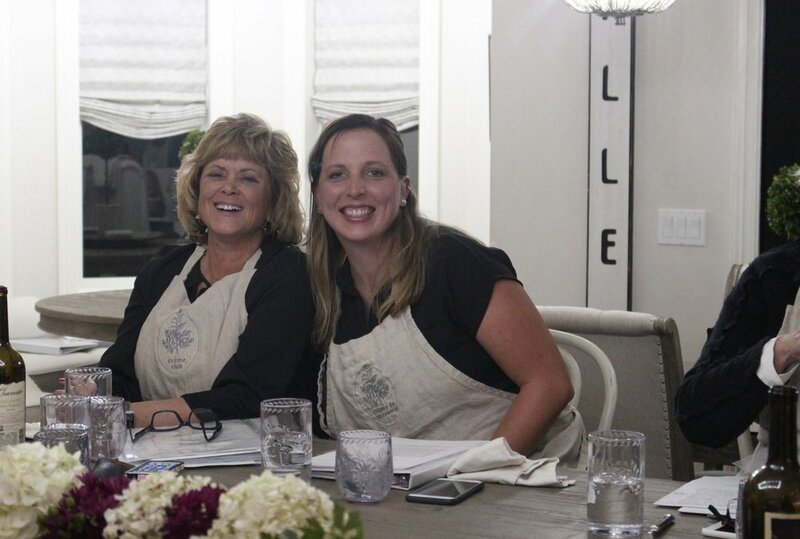 It was a pleasure teaching you my latest menu while having lots of laughs and learning lots of new recipe tricks. The season is upon us for plenty more chili and rolls in your kitchen as well. Cheers!